Husqvarna chainsaw development never stops. Edison, NJ, April 14, 2011— Gamka Sales Company was recently named as the Husqvarna Group’s newest New Jersey Distributor. 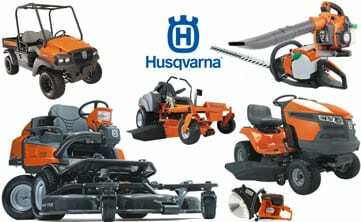 The Husqvarna Group is the world’s largest producer of outdoor power products including chainsaws, trimmers, lawn mowers and garden tractors. The Group is also the European leader in consumer watering products and one of the world leaders in cutting equipment and diamond tools for the construction and stone industries. The product offering includes products for both consumers and professional users. The Group’s products are sold via dealers and retailers in more than 100 countries. Net sales in 2010 amounted to $5.1 billion, and the average number of employees was approximately 15,000. 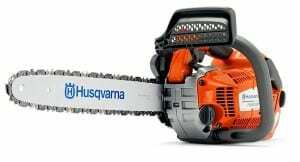 Husqvarna has a long history that is rich in tradition. 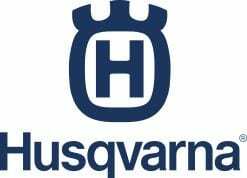 The first Husqvarna plant was established in 1689 as a weapons foundry. In the course of the centuries, Husqvarna has produced a large range of different products, including sewing machines, bicycles, motorcycles and kitchen equipment. Gamka is a family owned and operated distributor of light to medium sized construction equipment, building products and supplies. Rentals of the equipment lines Gamka sells and services account for a large portion of the revenue mix. Centrally located in Edison, New Jersey, Gamka World Headquarters is just off Interstate 287 between exits 2 and 3. Gamka is housed in their own 60,000 square foot building, situated on 6 acres of land. The structure contains the company offices, showroom, parts, shipping and service departments. While not as old a company as is the Husqvarna Group, the year 2011 marks Gamka’s 25th anniversary of serving commercial contractors, municipalities and industry in and around New Jersey. More information on Gamka is available on their website, www.gamka.com.